If you have any questions about any of our products, our webshop, the delivery or Tattini, please don't hesitate to ask it here! If you would like to buy something from our webshop, just follow these easy steps. On our site you can browser our products by Product categories, the Selection categories we have compiled, maybe by the Shopping by color groups, Brands, Sale categories, New products or by using the Product search at the top of the page. We will let you know at every product about the available sales, special ordering information and if the product is new. Once you find what you were looking for, click on the picture or the name of the product to get to the product's page, where next to the zoomable pictures and description you can choose from the available colors, sizes and can specify the quantity and put it into your cart. Furthermore you will find customer ratings, and some other recommended products for this one. After selecting the desired color, size and quantity, you will get to your cart, from where you will be able to advance to the next step, by using the Go to checkout button, or you can resume browsing from the product page where you came by clicking on the Continue shopping button. Of course you are able to access your cart at any time from the top of the page, next to the search field. If you have your own account, if you've logged in before browsing our site, but for some reason now you're not able to finish the checkout, don't worry, the next time you sign in, you will see the same products in your cart what you've left there. On the cart page you will see the total value, the possible discounts and you can modify the quantities for the selected products too (if you would like to remove an item from your cart, just decrease it's quantity to 0). When you're ready to finish the order, click on the "Go to checkout" button to get to the next step. If you already have your own user account, but you have not yet logged in, you can do so here. After signing in, you can review your personal details and are able to modify them if you wish to. At the same time, you can save a new shipping address, what you would like to use for this order. The changes of your data and the possible new shipping address will be saved, and you will be able to select it the next time when you're ordering from us. If you don't have an account, you should fill in your details, the billing and delivery addresses for this order, and if you choose to, you can create a new user account too. When you're done, you can get to the next step by clicking on the "Go to payment methods" button. On this page, you will be able to choose the most suitable option from multiple payment methods. When you're finished, to get to the next step, use the "Go to order completion" button. On this page you can review the whole order once more. If you find any errors, use the "Back to the cart" button to correct any mistakes. If everything is in order, you can leave a note for this order and you can indicate, if you would like us to include a Tattini catalogue in the package next to the ordered merchandise. To finish your order click on the "Send order" button. The order will be saved, and You will receive a confirmation letter to the e-mail address you've given, with the order summary in it. Our staff will get in touch with you on one of the filled in contact options about the availability of products, dispatch date and precise shipping costs. We can ship packages to anywhere in the world, with shipping costs depending on the weight and size of the parcel. But just to be sure you can get in contact with us about your specific order. We make every effort possible to find you the best packaging and carriage method to reduce your shipping costs. But we always have to take into account the parcels' size and weight. Our contracted courier partner is the GLS General Logistic System and their local contracted partners (eg: Parcel Force in the UK). In certain cases we use the postal service (like Royal Mail in the UK) in order to get more advantageous prices for smaller parcels. Each parcel has a transport fee depending on it's size and weight. This cost will be added to the amount charged for the goods purchased. Here is a link to a detailed chart of our shipping costs. If we have them on stock, goods will be dispatched within 7 days of receiving your payment. If we do not have the size or colour of the article which you require we shall contact you and give you an other possible delivery date. Please in the course of ordering always give us a phone number on which you are available, so the courier can reach you on it and for ensuring your packages in-time delivery. The shipping cost is free to the member states of the European Union, for purchases exceeding £ 100.00 GBP* (if the total weight of the package is less than 15 kg or 33 lbs). Otherwise we add shipping cost to the total price of the ordered products using the charts below. Shipping to the UK and EU countries usually takes 4-5 work days after dispatch. Shipping to other countries usually takes 10-20 work days after dispatch, depending on the distance. For exact shipping cost for specific non-EU countries, please contact us. * The free shipping is not available for products on sale or discounted combinations, except Tattini boots on sale. Please know, that the inventory information used for the dispatch dates displayed on the product pages is being refreshed once a day. Because of this, there might be occasions when the current inventory differs from the one displayed on the page. 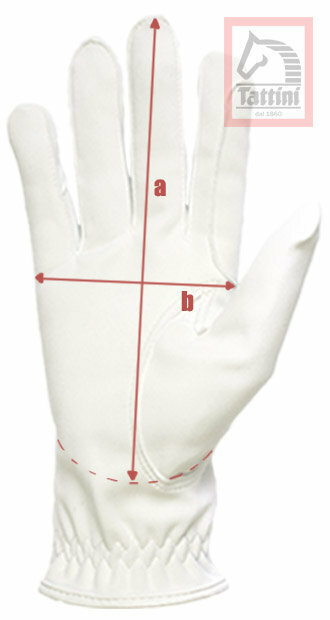 In order to avoid ordering difficulties and size errors, we suggest, making accurate measurements before sending your order. After choosing the guessed size, write us a note with the measured results in the order "note" field before completing your order. This is the size chart for the Tattini Setter and Springer leather riding boots available in our webshop. Size chart for the Tattini Bracco and Terrier (with zip only) and Breton and Boxer (with front laces and back zipper) Leather Boots available at our webshop. This calf length is only available for the Breton, Terrier and Boxer models and only for special order. 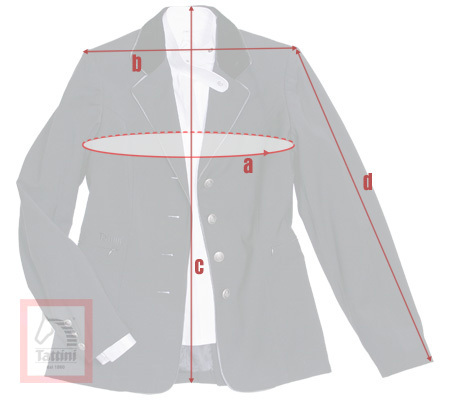 Size chart for the Tattini Terranova (with zip only) and Retriever (with front laces and back zipper) Leather Boots. This calf length is only available for the Retriever model. 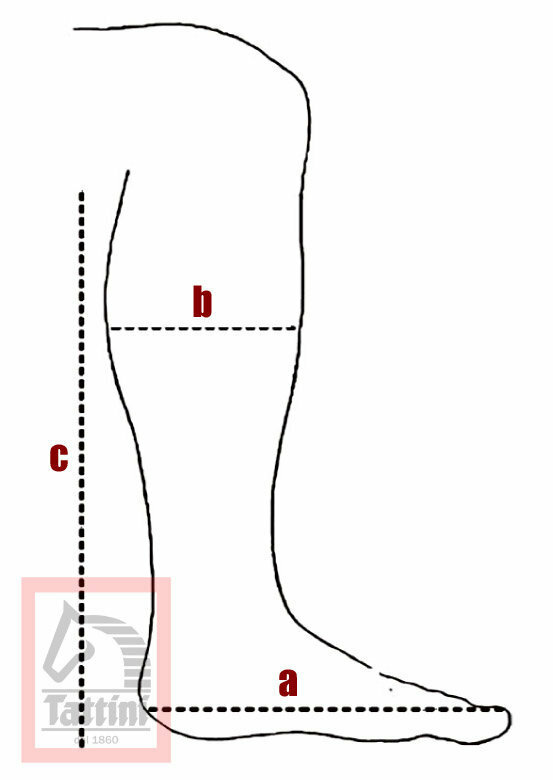 This is the size chart for the Loesdau Thermo Polo riding boots available in our webshop. Size chart for the Daslö rubber boots available in our webshop. Size chart for the Black-Forest rubber boots available in our webshop. Size chart for the Tattini Half Chaps (Italian leather, Moulded band, Crocodile and Snake patterned) available at our webshop. 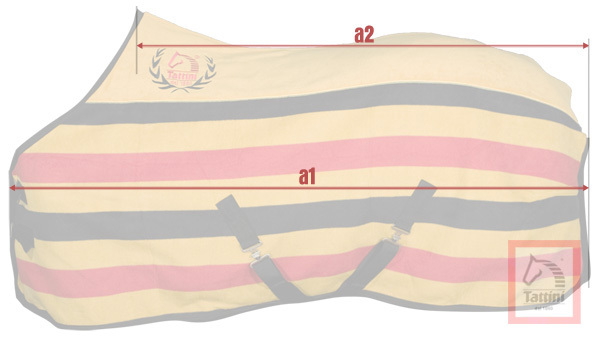 Size chart for the adult and child size Tattini Level 2 Protective Riding vests available at our webshop.